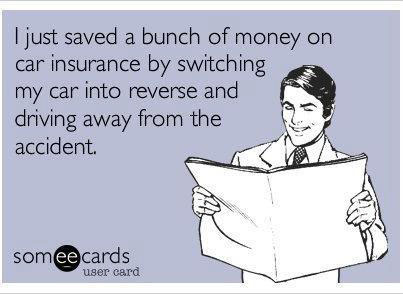 As an insurance agent in Arizona, I get several calls a week from clients asking pretty much the same question. Now, don’t get me wrong, I love talking to my clients and helping them with their questions. For whatever reason, today I had the case of the giggles (probably too much caffeine) so I created this funny picture of what NOT to do when you find yourself in an accident. Feel free to share.